Panta Racing fuels your ambitions! Panta Racing Division started in 1989. Since the beginning, it has been driven by innovative R&D orientation and by constant development of specific products for competitions. During the 90s, Panta Racing obtained prestigious results as supplier of several Italian and International Championships, partnering with some of the most prestigious teams and drivers. The challenge of years 2000s started with important investments in logistics, to enable the company to distribute its products across the whole Europe. 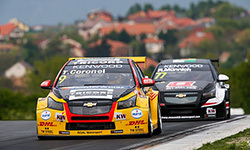 Panta has become strategic partner of Federations and Championship Organizers for the supply of racing fuels, guaranteeing excellent quality, high-level performance and compliance with different regulations in each Country. Nowadays Panta is the official supplier of the main Italian, European and International Championships sharing the sportive success of several teams. 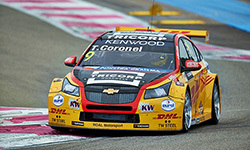 Specialised fuel for high-performance engines, super high-octane fuel, fuels for classic cars, diesel for racing and the official fuel for the FIA WRC and FIA WTCC World Championships. 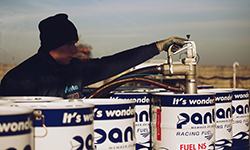 Panta Racing fuel for bikes is used in some of the most important championships worldwide, such as the Word Super Bike (WSBK) and the British Superbike (BSB). 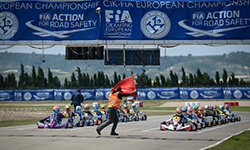 The best-known of these products is PANTA KART, the official fuel of the CIK FIA and WSK championships. Panta produces a wide range of reference (RF) and special fuels (petrol and gasoline) for the automotive sector. With a network of experienced professional dealers, PANTA distributes its racing products all over the world, and is now present in the most important global markets.